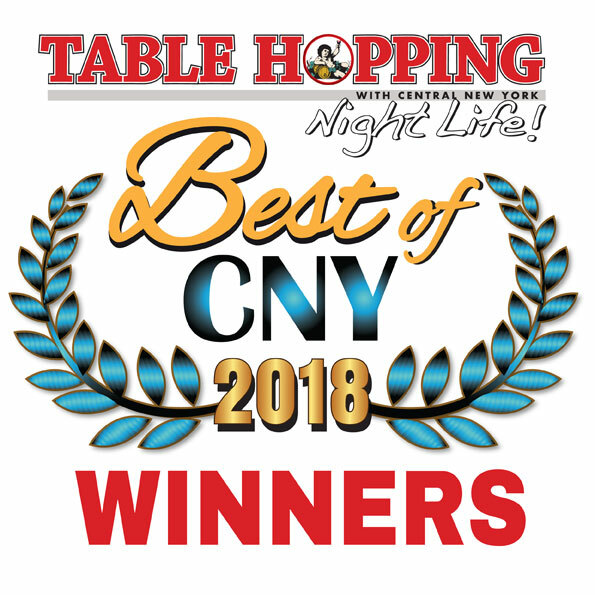 As the ‘-ber’ months settle into Central New York, a hot bowl of soup or mulled cider go hand in hand with the cooler temperatures and changing leaves. This is also the time where we enjoy foods and desserts made with a variety of spices and seasonings specific to the fall. Pumpkin spiced, Oktoberfests (or Märzen beers) and breakfast beers come to the forefront during these cooler months as well. We see pumpkin beers as early as July, but these beers are best enjoyed during that time when we know summer isn’t coming back. 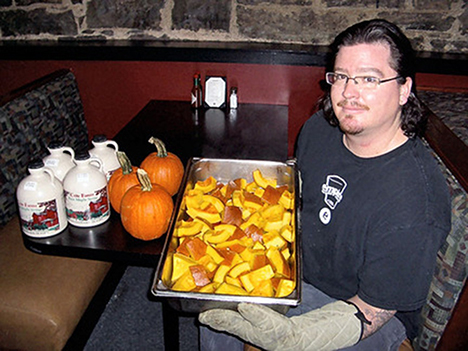 Pumpkin beers are made seasonally and with spices familiar to those that we enjoy this time of the year. Beers made with cinnamon, nutmeg, clove and other ingredients also present in pumpkin pies are very common. Go to any beer store or supermarket with a good selection of craft beer and you’ll notice the orange six-packs and pumpkin beer galore. 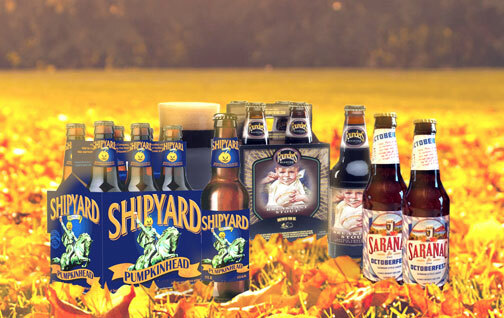 Shipyard’s Pumpkinhead Ale, for instance, (known as “The Original Pumpkin Beer”) is one that the brewery suggests to consume with a cinnamon and sugar rimmed glass. I can’t say that I’ve had pumpkin beer this way but the flavors of the cinnamon and sugar would seem to complement the flavors in the beer. Whether or not this would enhance or take away from the beer’s tasting properties remains in the opinion of the drinker. My absolute favorite pumpkin beer is Empire’s Pumpkin Ale, made with local pumpkins from Cazenovia, which are roasted and lightly spiced with pumpkin pie spices. I highly recommend it. Empire’s Pumpkin Ale is made with local pumpkins from Cazenovia, which are roasted and lightly spiced with pumpkin pie spices. Oktoberfest beers (also known as Märzenbiers) are copper colored aromatic, toasty and full-bodied beers. These beers are typically made with amber malt that’s caramelized by gentle roasting. The word märzen, German for the month of March was chosen to describe this type of beer for the month in which it is brewed. Why then, would a spring-brewed ale be known as an Oktoberfest beer? During the Middle Ages, brewers had a rough time brewing beers during the summer months when air-born bacteria could infect the batches. To have enough beer on hand during the summer, they worked overtime in March to brew an extra strong and well-hopped beer that would keep for a long time. As the weather cooled down and it was safe to brew again, the märzen kegs needed emptying out to make room for the new brews. The Germans had no trouble finishing them in a timely manner, and so March beer turned into an October beer. 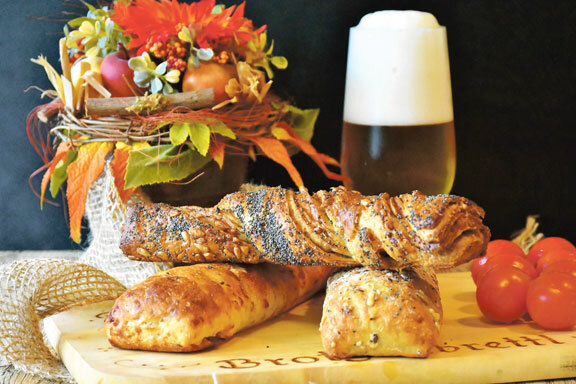 Just as with pumpkin beers, there is a plethora of Oktoberfests. Not sure which ones to drink? For starters, try Saranac’s Octoberfest or Great Lakes’ Oktoberfest. Better yet, make your own six-pack at a retailer and grab six different ones. Breakfast beers are those that have been crafted for drinkability with your morning meal. Just as there aren’t restrictions on when to drink these, there aren’t any hard and fast rules as to what constitutes a breakfast beer. In general, hearty and smoky beers (e.g. stouts and rauchbiers) tend to be great choices to add different flavors that complement a stack of pancakes, eggs, bacon, etc. Flavors of coffee, maple, vanilla, and bacon are just a few that contribute to enhancing your breakfast or brunch. Founders Breakfast Stout, for instance is a great example. This Michigan brewery produces a stout packed with coffee, chocolate and oats that is well loved by many craft beer drinkers. Can’t imagine having a beer with your breakfast at home? Try during a pre-game party, brunch, or on those nights where breakfast is your dinner. Breakfast beers are great alone too, of course; so don’t feel like you have to stuff your face to drink these. Very rich in flavor and full bodied, these are not your typical everyday beers – don’t chug! Enjoy the flavors that these and the aforementioned styles bring to your taste buds and savor in the moment. Cheers! 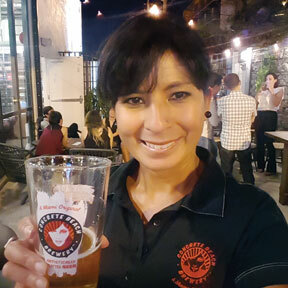 Beer/Travel Writer, Founder of Syracuse Women of Craft Beer, and Craft Beer Crusader!